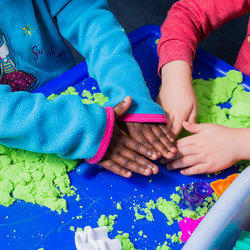 City kids Preschool is a jewel hidden away in a beautiful safe secure suburb. With 24-hour security. Placing your most precious procession in the correct preschool is not an easy task and can be very daunting; every child that joins our school is not just a learner but becomes part of our family. 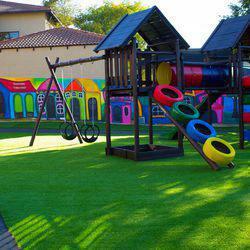 We are a Christian preschool, situated in Lonehill Upper East, and run from inside the prestigious City Life Church. Our facility boasts large, bright classrooms, a custom designed playground with both toddler and preschool sized equipment, as well as our very own kids auditorium. Our aim is to maintain a high educational standard, whilst introducing little ones to the Lord and guiding them on the journey to their future. 5 fun facts about our school. 1.All bible lessons include fun activities. 2.We celebrate world day like Nelson Mandela day, plant a tree day and Heritage day. 4.We serve healthy meals all freshly prepared. 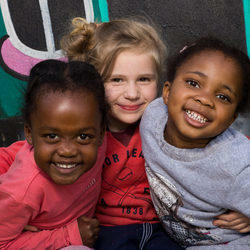 5.Puppet shows, animal park visits and stage productions are just a few activities the children get to experience. A lovely Christian based school providing young children with an early educational appreciation for Jesus and the principles around Christianity. The teachers are warm and welcoming and most importantly, show a deep interest in the children.